NIMR to produce more than 1,000 vehicles in the Czech Republic. UAE armoured vehicle manufacturer NIMR Automotive will manufacture its vehicles in Central and Eastern Europe after signing a strategic collaboration agreement with the Czech Ministry of Defence’s VOP CZ. It is the first major European export deal for the UAE manufacturer, which already has a strong distribution base in the Middle East and North Africa. The agreement covers the marketing, distribution, production and after-sales support of the complete range of NIMR armoured vehicles to the Visegrád 4 countries - Czech Republic, Poland, Slovakia and Hungary. 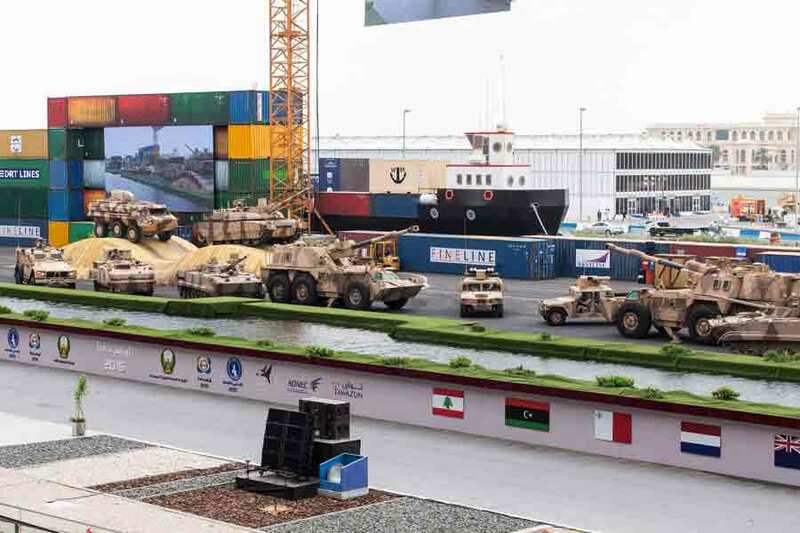 The agreement was signed during a formal ceremony at the International Defence Exhibition and Conference (IDEX) held in Abu Dhabi in the presence of senior defence officials from the UAE and the Czech Republic. NIMR’s vehicles, which are designed to perform in the harshest operational environments, will be “winterised” with VOP to maximise performance in Europe’s cold weather environments. The NIMR AJBAN440A, a highly mobile 4x4 protected vehicle incorporating the latest technologies in ballistic and blast protection. It will be presented to representatives of the Czech Ministry of Defence and the Czech Armed Forces at the end of February during an industry day event being held in Vyškov. The intention is to showcase the joint capability to the Czech Armed Forces, particularly modern, light armoured vehicles with industry leading specifications, which can be used as a platform for chemical, reconnaissance, logistics, medical and other versions, thereby providing a common platform for multiple operational needs with a common logistic support base and lower lifecycle costs. VOP CZ already enjoys a strong supplier relationship with NIMR and has been manufacturing armoured cabins for the AJBAN 440A for more than two years. This provided the catalyst for expanding the engagement to explore sales opportunities for the full NIMR vehicle range within the region, chiefly in the Visegrád Group of countries. NIMR and VOP CZ currently project to produce over 1,000 vehicles in the next three to five years, exceeding a value of more than $500 million.